Tips to Protect Yourself From Scammers | The Consumer Law Group, P.C. As consumer attorneys in Virginia, we see people being taken advantage of every day. From car dealers to debt collectors to identity thieves, it sometimes feels like everyone is out to get you. But when you know your rights and are prepared to protect yourself, you can avoid becoming a victim. We offer these tips to keep you and your money safe. Read agreements carefully. How often do we sign wordy documents without reading them? This gets a lot of people into trouble. When buying a car, no matter what you think you are getting, read the entire sales agreement before signing it. This is often where disreputable dealers add expensive features you did not agree to. Read cellular plan contracts carefully as well. Read the extended waranty/service contract to see what it excludes. This includes all existing problems, something the dealer will not have told you. Not knowing what you agreed to is not a defense down the road. Protect your information. Never give out your Social Security Number or bank account numbers to someone who contacted you—either over the phone or by email. Also, buy a shredder and use it to shred bank and credit card statements and anything else with personal information on it. Even junk mail and credit card offers can give scam artists enough information to use against you. Be suspicious. Any offer that sounds too good to be true probably is. If you get an email you were not expecting offering you a great deal if you release personal information, assume it’s a scam. If someone offers you money for nothing, know that there is always a catch. If a salesperson is dodging questions or rushing a sale, assume they are up to something. Be extremely cautious about opening attachments to an email, even if it is from a trusted source, unless you are confident it is legitimate. Change your passwords. Choose smart passwords and change them often. A good strategy can be to create a password that is an acronym for a phrase that you can easily remember and includes letters and symbols. For example, “I live at 541 Oak Street” could become the password [email protected]$, which is much harder to guess than Password123. Check your credit reports. You are entitled by law to a free credit report from each of the three credit reporting agencies every year. These reports will tell you if someone has taken a credit card out in your name, if a business has reported you as past due on a debt, or a number of other possible red flags. Know your rights. You won’t know you have been taken advantage of if you don’t know your rights. 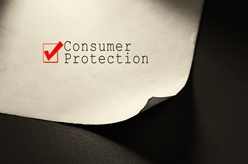 The Fair Credit Reporting Act, the Fair Debt Collection Practices Act, Virginia’s Lemon Law are just some of the consumer protections you have that you may not know about. We are happy to offer these tips. If you have any questions about your rights as a consumer in Virginia or DC, don’t hesitate to call us at (804) 282 -7900. What Is the Virginia Consumer Protection Act?